No, they’re not just resting. Universal ranking factors are dead. Google’s algorithm now operates highly individually – depending on time, place, device and industry. For this reason, we are using our first industry-specific study to present the ten most important ranking factors for eCommerce. Where should webmasters in eCommerce focus their energy? Which content can be used to reach people at every stage of the customer journey and how can I convince a shopper like Kelly Click to buy her drill in my online store, and not go off to the nearest home-improvement center? It’s not just books, electronics and shoes. Across all sectors, eCommerce sales in the US total almost 400 billion dollars a year. Even in sectors such as home improvement, the online market is growing in importance. Overall in the US, over half of purchases now take place online. Companies operating in eCommerce have the advantage that 81% of consumers, whether buying online or off, conduct internet research beforehand. This is referred to as ROPO (Research Online, Purchase Offline). If Kelly Click needs a cordless screwdriver, then she’s likely going to start by looking for information online. This research – even if Kelly is initially planning to go to the home-improvement center to buy the screwdriver – is the first opportunity for retailers to have a touchpoint with Kelly and potentially gain her as a customer. The extract from our Topic Explorer shows that there are several other ideas circling around the central topic “cordless electric screwdriver” in Kelly’s mind. Most of these (shown by the green bubbles), are of a transactional nature. Clearly, in eCommerce, sales are what matter most. But it is still possible to use the right content to appeal to other search intents, and to pick up Kelly right at the start of her Customer Journey. The majority of search queries around this topic, even though they are based on a transactional intent, happen during the consideration phase of the sales funnel (yellow). Only the keyword “cheap cordless screwdriver” expresses the explicit desire to make an immediate purchase. For this reason, it is not enough just to have an optimized product page that reaches users during the purchase phase. A shop can be more successful if it offers content that appeals to potential customers when they are still conducting their online research. For this reason, it is essential for eCommerce pages to know which content they have to offer, and in which form, to fulfill Kelly’s search intent. Our industry whitepaper shows, for example, that top-ranking eCommerce landing pages have larger file sizes and higher word counts than the overall best-ranking pages, when industry is not considered. Therefore, an eCommerce website that measures itself according to the general benchmark will provide shorter texts and smaller pages (e.g. with too few images) than its actual competitors. Accordingly, users looking for detailed product descriptions and information will be more likely to bounce and go shopping on a domain that better fulfills their search intent. Do I really have to drive to the home-improvement center? returning to the page that already gave her information on her screwdriver of choice, and ordering it there. These are three realistic options, depending on how much time Kelly has, how experienced an internet user she is, and how much of a role price plays in her purchase decision. Ideally, retailers should ensure they’re found via all three options. This example makes it clear how much room there is for improvement. Only some of the leading offline home-improvement centers (e.g. Walmart, The Home Depot, Lowe’s) are found amongst the top results. Although the search for a specific model is quite transactional in nature, there are also two YouTube videos (review) among the top ten results. And of course, the big online retailers amazon and ebay are also present on the first search results page. However, space is limited – and everybody wants a spot in the sun to get traffic to their pages. Every retailer should aim to be found during both the consideration and the purchase phase, because not all shoppers search for a specific store. 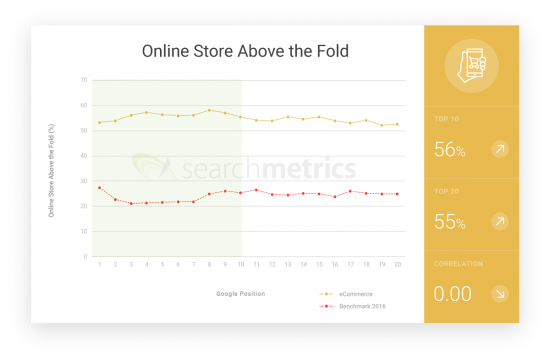 This is the only way that retailers will be able to gain new customers via Google’s search. Excuse me, where’s the checkout? It is no surprise that landing pages in the eCommerce sector often sell products. In line with this, the visibility of a page’s online store is highly relevant. In eCommerce, 56% of URLs that rank on Google’s first page have an online store above the fold. Across all industries, the rate is just 23%. So Kelly wants to find the shop quickly. Even if the URL has a large selection of products on offer, it is recommended to position the online store in a prominent place on the page. Provided the page also offers a smooth, user-friendly purchasing process, there should be little left preventing a successful screwdriver sale. 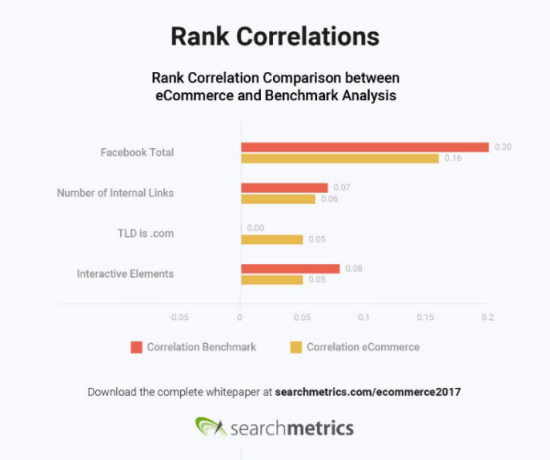 We have seen that the frequency of an online store in the upper page area is, not surprisingly, 139% higher amongst top 10 eCommerce domains than in the general ranking factor analysis, where no specific industry was targeted. On the other hand, 44% of pages ranking highly for eCommerce search queries do not have a store above the fold. So it is not only shops that are competing for these relevant keywords. Our eCommerce whitepaper includes two infographics. 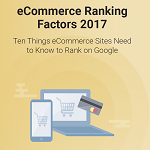 One shows the percentage difference for the 10 most important ranking factors, comparing the average values for eCommerce with those for the overall benchmark study. Another shows the correlations for each ranking factor, again comparing the benchmark study with eCommerce. The graphics therefore show where eCommerce domains should focus their attention. Get the full infographic here! Our analysis shows which steps webmasters working in eCommerce can take to tailor their pages to users’ different search intents. 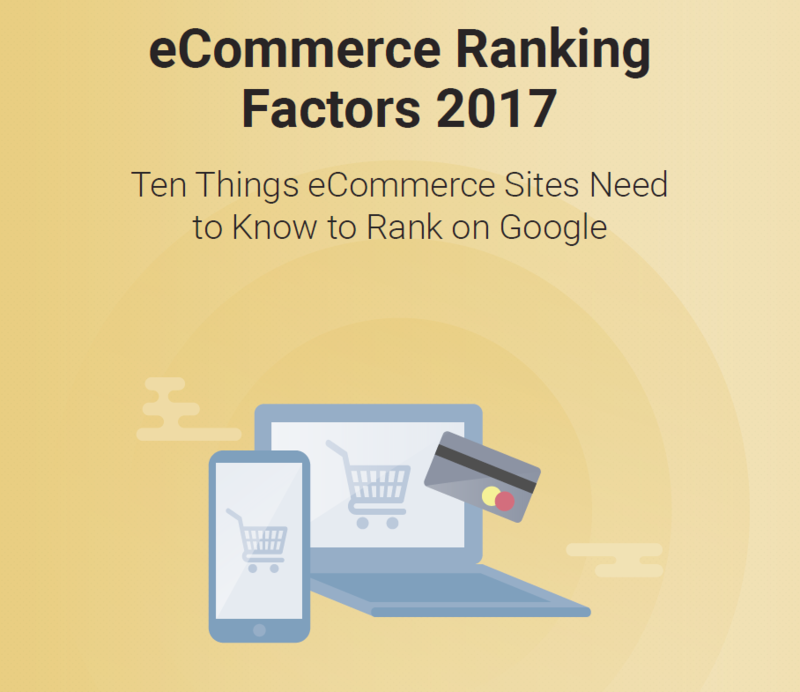 As a rule, eCommerce pages near the top of Google’s rankings have longer content than the overall average. They answer questions that users like Kelly have, so that they can get the information they need, and they offer a clearly visible online shop, so that Kelly can easily click through and buy the product of her choice. That’s enough to get you started – you can find out everything else in the whitepaper! 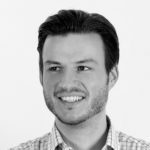 My name is Daniel and I am Director Marketing EMEA here at Searchmetrics. Among other things, I'm responsible for implementing and executing regional marketing strategy as well as enabling cross-team coordination and communication. It’s indeed a nice article and may be an eye opener for e-commerce portal owner. But as you said I was expecting the topic in 10 different heading representing 10 factors. After reading it, I searched in SERP with “cheap cordless screwdriver” and the first result appeared was some “product listing ads” from Amazon, Moglix, ShopClues, IndustryBuying etc. In above the fold there were no ads where in below the fold there were 3 ads from made-in-china, Amazon and Kilews. Now the question is if Kelly could not find any search ads in top fold of SERP and unwilling to scroll down, then potentiality of getting clicked and conversion become less for those portals battling for getting clicked. So to hit the bird in first shot a proper optimized search ad campaign must be run. I used the term ‘optimized’ because in general we use ‘cheap’ as negative keywords. So advertisers must be very cautious using keyword match types and negative keyword list. As everybody is battling to be ranked on top, ‘top of page’ bid may also work for those advertisers if they are really concern about conversion. But it’s entirely depends on budget and other factors. I hope you are gtting my point. However big thanks from my end for this awesome post and keep writing for us. Getting research demands detailed information is one the most important part of e-commerce SEO. thanks for Sharing this factors. Hey Prasad, focus of our Ranking Factors analyses are always the organic search results. 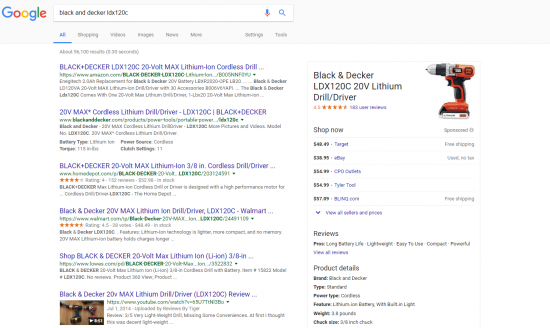 However, no doubt that paid search as well as product listing ads (two additional channels) are a huge contributing factor to leverage your traffic and conversions – especially for eCommerce. 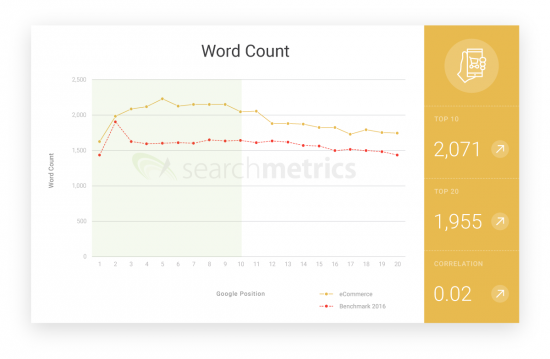 Hello SearchMetrics ! This is one very interesting study. So interesting I translated a small summary in french to spread the knowledge. I published it on my blog, but should I ask you first about this ?